An enjoyable day out and for a great cause! 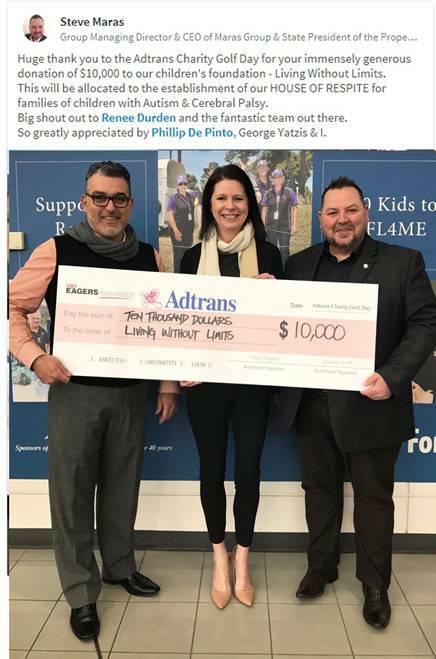 Adtrans has a long history of supporting its community, including charities and local sporting bodies. 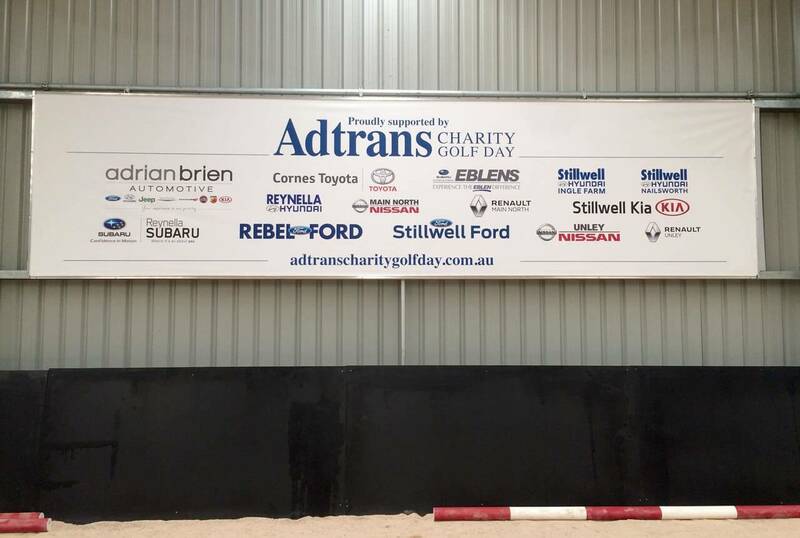 Adtrans has been holding its Annual Golf Day where the Company, together with its business partners, raise significant funds for local charities. 2018 saw us raise a record $276,000.00 and all our Dealerships are busy raising funds towards our 2019 Golf Day to be held on Friday 22nd November at the stunning Glenelg Golf Club. We are extremely proud to be party of the Annual Adtrans Charity Golf Day especially when we see what our funds have done for our charities. 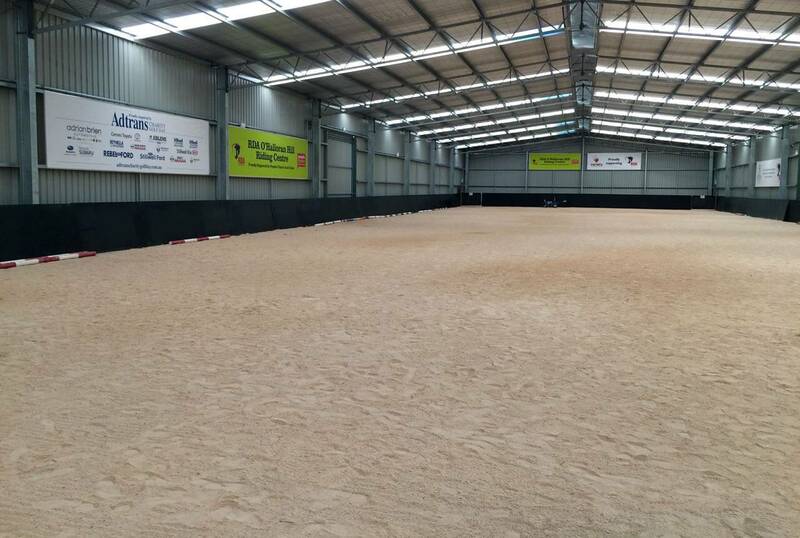 The latest has been this massive fully enclosed shed built at “Riding for the Disabled Association of South Australia” at O’Halloran Hill which opened on Sunday the 18th of June 2017. We also had the pleasure of presenting a cheque for $10,000.00 to Living Without Limits Foundation – supporting families with Children affected by Autism and Cerebral Palsy. 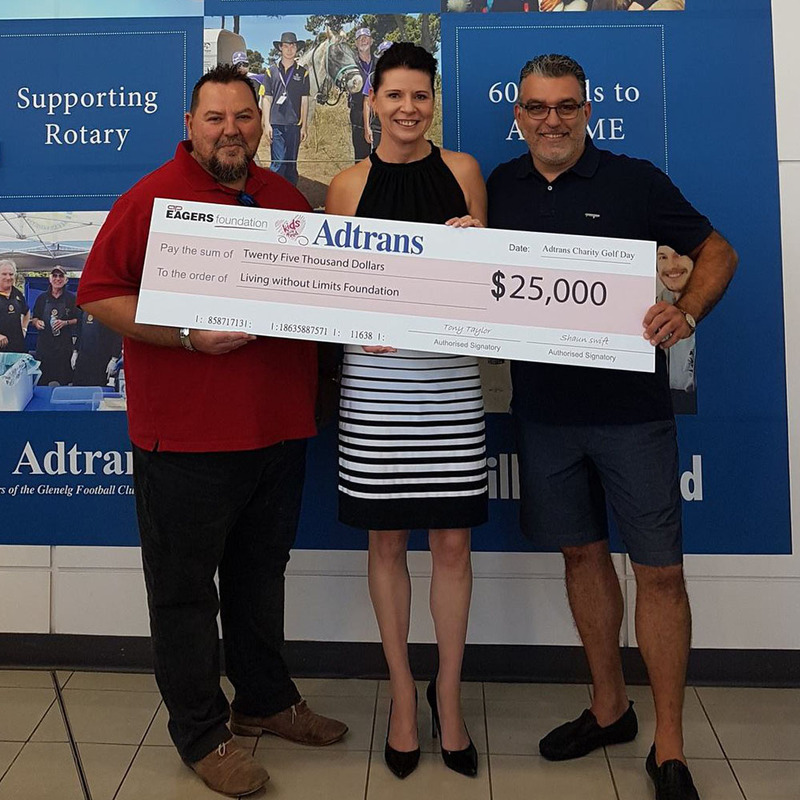 It was an absolute pleasure to present a cheque on behalf of the Annual "Adtrans Charity Golf Day" to Phillip De Pinto and Steve Maris from Living Without Limits Foundation, helping families with children affected by Autism and Cerebral Palsy.